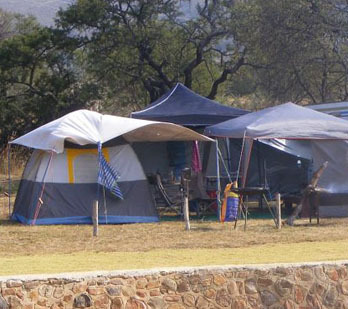 Kromklip has about 80 camp sites that have not been flagged. 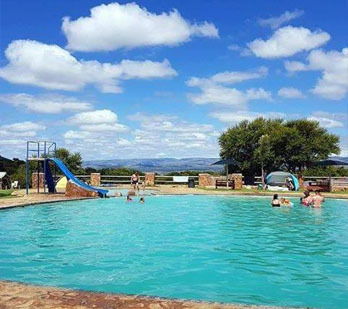 There are power points and built braaiers available, campers can choose whether to camp next to the fishing waters, next to the bathrooms or rather next to the pool area. Campsites near the fishing waters are limited,- First come first served. The site offers lawns with big cool trees, four sets of neat bathrooms, as well as diswashing stations. The equipped self-catering chalets are built on the edge of the dam and also offer your own personal fishing area right in front of the chalet. The Duiker chalet is a 4-bed chalet, sleeping up to six people (bedding not included for the fifth and sixth person) with its own kitchen, living room and bathroom. The Kudu Chalet is a eight bed chalet with two separate rooms with its own kitchen, lounge and bathroom. Both chalets offer a beautiful view of the water. Kromklip has five equipped 6-bed tent cabins, a 5x5m canvas sleeper unit and a built-in kitchen area with crockery, cutlery, fridge, kettle and other kitchen supplies. Each tent cabin also has its own braai area. 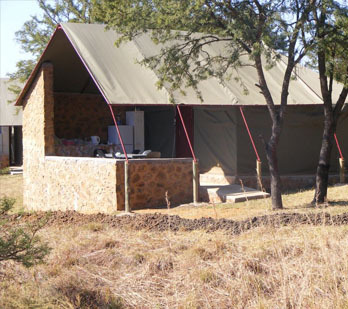 The tent cabins do not have their own bathrooms, one of the bathrooms on the premises must be used. 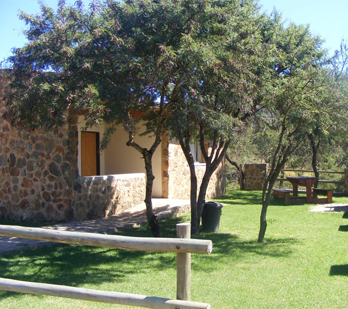 Kromklip also offers two 11-bed tent cabins located at the pool area next to the second and third sets of bathrooms. The necessary kitchen accessories are available in the tents, including their own braaiers.